Microsoft will bundle the all-new Office, including Word, Excel, and PowerPoint as part of Window 10 for phones and tablets, Joe Belfiore announced during Microsoft's two-hour-long Windows 10 event. However, there was no mention whether this generous app gift-giving would extend to the desktop. During the brief preview today, which Belfiore stressed was early builds, looks much more feature rich than the Office hub that's been a part of Windows Phone 8.1. 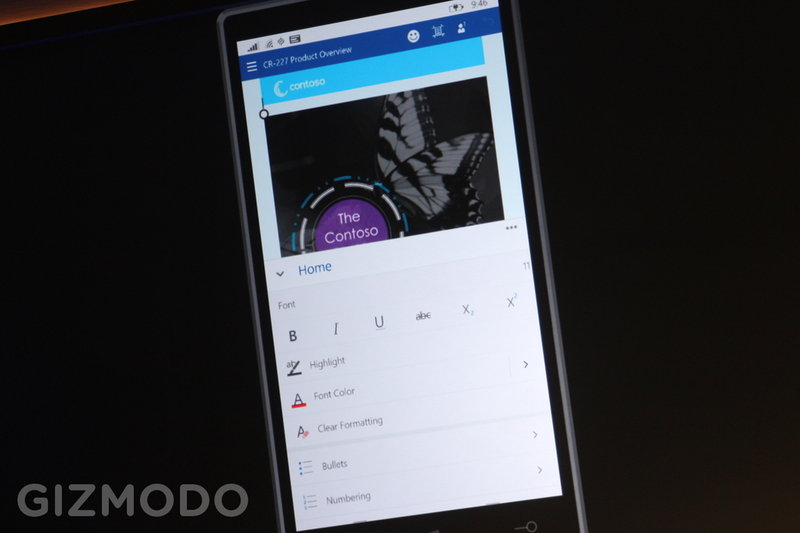 Belfiore also says that this version of Office was made specifically for touch-based Windows 10. It seems MS may be embracing a more full-version of these popular apps as they've already done with the productivity suite for iOS. We'll know more once we get a closer look.